what the #@$% is vortex music magazine?! Glad you asked because we've got just the person to tell you all about it: Let Music Millennium's Terry Currier bring you and the rest of the city of Portland up to speed on Vortex Music Magazine. 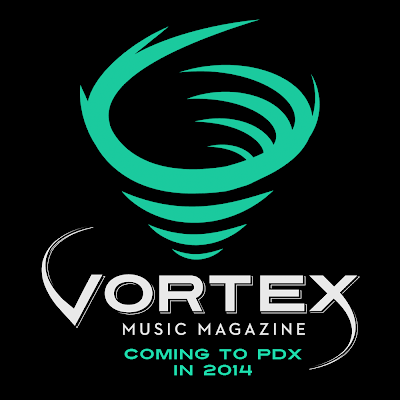 Starting on March 24, Vortex Music Magazine will launch a Kickstarter to raise $10,000 to design, print and distribute more than 10,000 copies of our debut issue, which will feature serious, long-form journalism paired with dynamic photography and useful resources for Portland’s musicians and music community. In all that we do, it is our mission to make the Portland music scene more successful by making it more accessible. We are Music, Portland-Style. vortex beta™ is now live! And has been for approximately two weeks now. VRTXmag.com is the digital companion to our print publication, which will hit the streets of Portland this May! We are currently continuing to tighten up and refine the site while adding daily content and rolling out new features in preparation for a Kickstarter campaign we will launch on March 24—more on that later. Much thanks goes to our very own Rickenbacker-slingin' web developer Arthur Parker for nailing Natalie McGuire's stellar design as well as all of the complex functionality that I asked of him. This site was built from the ground up to meet the daily challenges of a constantly changing world of print, digital media and journalism. 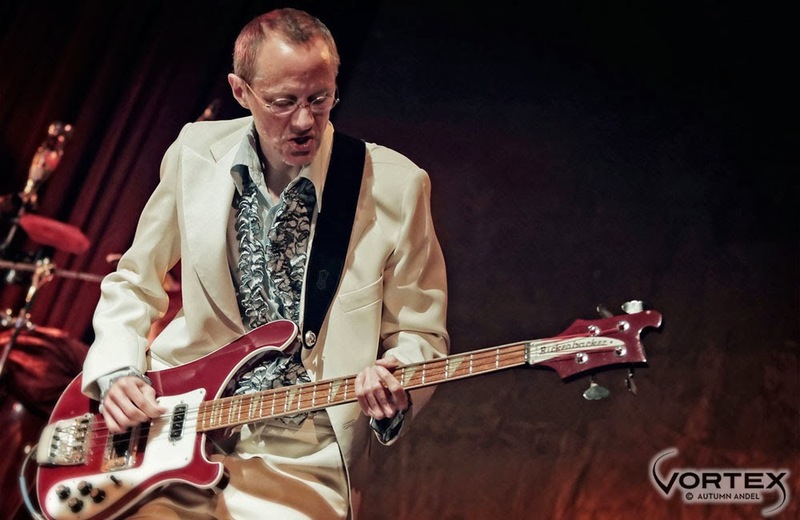 Arthur Parker performing with The Nowhere Band on the final night of the White Album Christmas at the Alberta Rose Theatre this past December. Photo by Autumn Andel. Vortex Music Magazine is not a legacy media institution, and the ideas, organizational structure and strategies we've employed were constructed for the modern digital world rather than retrofitted to meet a changing media environment. We are hopeful that we can build a sustainable business that revitalizes local music journalism and supports content creators, and we aspire to revolutionize the way content is created. Thank you to the amazing staff, contributors and photographers we've amassed so far and for all the helping hands that have lent support as we get this project off the ground. We're extremely excited about what's next for Vortex Music Magazine, and until we reveal what this is, enjoy this little clip that Eric Skelton put together using our small library of media assets. Don't forget to check out the website, vrtxmag.com, and please follow us on our various social media accounts to stay in the loop and subscribe to our newsletter for further updates. 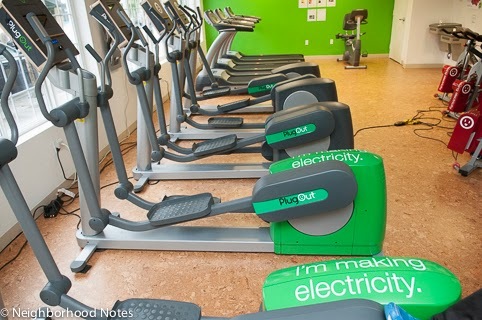 The "world's first electricity generating gyms," The Green Microgyms' equipment captures the energy from a workout and repurposes it to power the building. I helped compile and update a few fitness lists for 2014 because sometimes the only motivation you need is knowing where to go. In an effort to help you fulfill your New Year's resolutions, Neighborhood Notes recently published several roundups of local, independent gyms, cycle studios, personal trainers and small group fitness classes, plus a few options to condition both your mind and body including yoga. Find one in your neighborhood and make good on your best intentions. The Midwest invades the Wonder Ballroom on Thursday, and if the name Volcano Choir doesn't ring a bell and you're stuck wondering why this show had already sold out before the end of last year, it's because the Wisconsin-based band's most famous member is Grammy winner Justin Vernon—better known as Bon Iver. That said, this back-and-forth side project features Vernon and his longtime friends (notably members of Collections of Colonies of Bees) together for the second time. The collaborative Repave should more than satisfy the devoted Bon Iver fan—feeling intense and sparse and grandiose individually, and then all of those things at once, the fleshed out rock effort follows in the same vein as his Grammy-winning album. Besides, for all the fanboys and girls, how can you not be assuaged by Vernon's distinctive vocals, whether pitched high or Auto-Tuned? 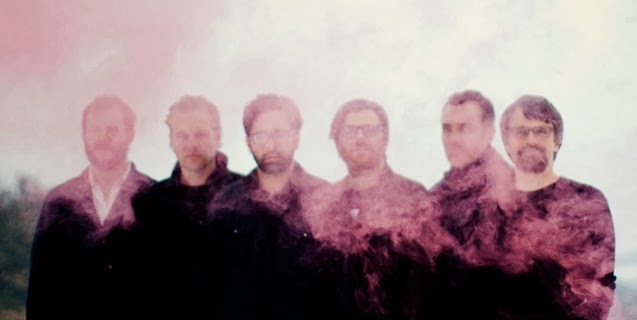 Joining Volcano Choir on tour are Minneapolis neighbors The Cloak Ox with a debut record that feels straightforward in comparison to Repave, yet still retains some surprises—such as Vernon contributing harmonies on frontman "Andy Broder’s Dream" while vocals also come from TV on the Radio’s Tunde Adebimpe and Dark Dark Dark’s Nona Marie Invie. At times, Shoot The Dog is a little funky ("Shoot The Dog"), sometimes very frank ("Don't Listen"), and during others Broder reminds of Elvis Costello ("Josephine"). Check out the rest of OMN's Get Out! picks for January 23 to 29. 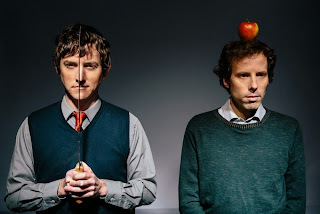 CONCERT POSTPONED: Due to heavy snowstorms and flight cancellations, There Is No Mountain’s performance will now take place on Thursday, February 6 at 7:30pm. Formerly the whiskey-stomping five-piece The Ascetic Junkies, the husband-and-wife team of Matt Harmon and Kali Giaritta decided to simplify their musical endeavor just under a year ago. Rechristening themselves There Is No Mountain, the pair has been in a state of movement ever since. "We played 122 shows in 40 states in 2013 and probably put 40-50,000 miles on our car," Matt recounts. "We got back from the last (and longest) tour in November, and we've just been catching up with friends and writing new songs." 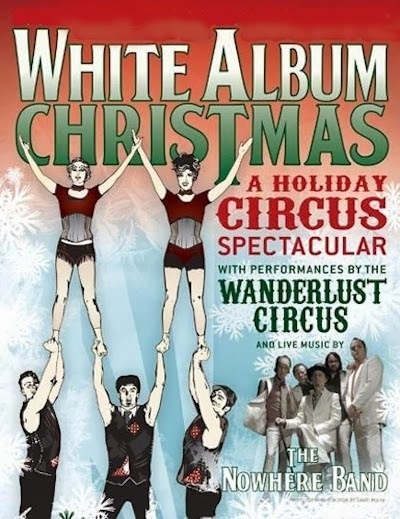 Along the way, they released their self-titled debut, received tons of support from new fans around the nation, and had a noteworthy opportunity cross their path: While touring back east, they were scouted to perform at New York City's Lincoln Center as part of the American Songbook series. It was a little to good to be true because instead of booking the gig outright, TINM were selected to compete against two other artists for the opening date of the series—let the online voting begin! Suffice to say, they won! And now Kali and Matt are saying thank you to all their fans and voters for giving them to opportunity to open the 2014 American Songbook series, performing in the David Rubenstein Atrium at the Lincoln Center complex on Wednesday, January 22nd. Naturally, that thank you comes in the form of a new song—free for you to download. Listen to and download "Hiking" on OMN. Some 600,000 steel rivets hold each 746-foot tower together. 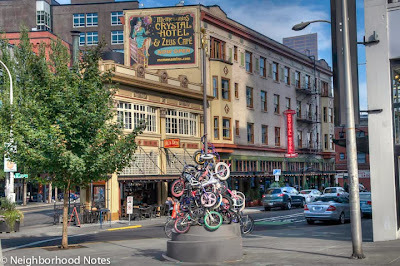 I may have gone down to San Francisco for this, but I spent some time being a tourist and took the opportunity to do document a few things for the Outdoor Project, which has expanded its regional coverage south to California. 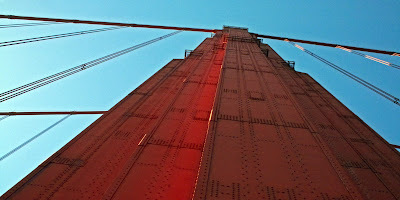 I walked the Golden Gate Bridge twice and experienced both of its climatic sides as well as its Art Deco intricacies. 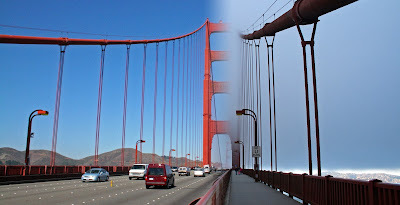 Approaching one of the two towers that suspend the 15,300 feet of main cable (left), but on another day, the same tower disappears into the fog—as often happens (right). On my final day in the city, I also spent a crisp, gloomy morning fogged in on Alcatraz. I'd been once as a kid, and the one thing I distinctly remember from that first trip was the cellhouse audio tour. 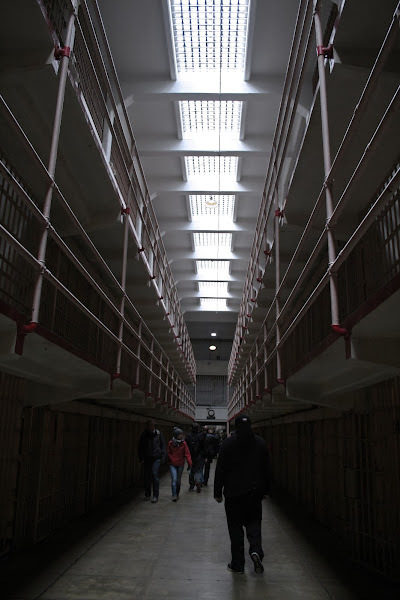 Narrated by Alcatraz correctional officers and inmates, the 45-minute tour really transports you back in time. Although the crowds and cost can be a deterrent, I definitely thought Alcatraz was worth revisiting. Peering down a darkened Broadway, which runs between cell blocks B and C, towards the West Gun Gallery, Times Square and the dining hall. Find the other trips I've contributed to the Outdoor Project to inspire your next adventure.